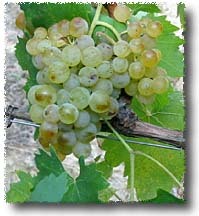 Vernaccia di San Gimignano has always been San Gimignanos classic white wine. The Pliocene soils around the City of the Fair Towers, which were once submerged by the furthest reaches of the Ligurian Sea, were the perfect habitat for molluscs whose shells make the terrains highly calcareous. Up to the ancient sea level, mid-way up the hills, its the perfect terrain for great white wines. The climate of the Tuscan countryside is temperate, and dry in the summer. Its a perfect climate for great red wines, and indeed our valleys are renowned for them. 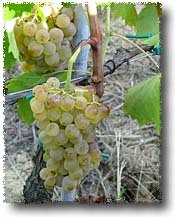 We have always considered Vernaccia to be the red of white wines: the grapes may not yield highly fruited bouquets, but the wines are vigorous and long-lived: mineral wines of great power and structure that profit from wood and display excellent aging capacity, with their bouquets gaining interesting secondary aromas with the passage of time in bottle.